This IDC webinar provides insight into government agencies' approach to digital transformation (DX) in terms of strategy, organization, funding, and impact from DX activities. It also highlights the line agencies are taking toward adopting DX platforms. This presentation provides an overview of public transit today and the evolution towards mobility-as-a-service. The discussion presents examples of new technological solutions and operating models as mass transit becomes smarter and mobility options for the public increase. The European higher education market is entering a period of change. The adoption of digital technologies inside and outside of the classroom continues to accelerate. At the same time, diversification of the student population is leading to a rise in nontraditional students. IDC Government Insights: European Education Digital Transformation Strategies service provides comprehensive insights into the drivers of the education ICT market, the sizing of overall opportunity, and nature of digital transformation efforts undertaken by the education providers. Join IDC Government Insights' Shawn McCarthy as he discusses blockchain in government and important emerging use cases. Citizens want a consistent experience when dealing with government agencies, while being able to choose the channel that is most convenient for them based on the type and urgency of their need, their location, their need for help completing the process, and the ability to complete a transaction from end to end. Government agencies have in response been adopting modern technologies and process changes to better orchestrate service delivery and meet these new demands. This webcast provides an overview of IDC's European Government Citizen Services that provides a framework for looking at how digital transformation is driving change to citizen expectations, preferences, and behavior, and how government agencies are adopting modern technologies to address these new demands. This IDC Government Insights webinar provides an overview of recent legislative and executive branch guidance to agencies to modernize IT systems while improving cybersecurity postures. Participants will learn highlights of the Report to the President on Federal IT Modernization, and the Modernizing Government technology Act. "Federal agencies are at an inflection point," says Adelaide O'Brien, research director, IDC Government Insights. "Deploying these initiatives can assist agencies to digitally transform and securely meet evolving mission needs." European cities face significant forces for change such as increasing demand for mobility, seamlessness of service delivery, and the democratization of public services. In response, cities are becoming increasingly smart; they are adopting innovative technology solutions and redesigning business and service delivery models to take a more user-centric approach, while allowing users to have greater input into how their city works. This IDC’s webcast with European IDC Smart City experts give an overview of the main trends impacting European cities technology investments, highlighting the main use cases, initiatives, and priorities driving Smart City spending in Europe. It leverages IDC Government Insights extensive industry research and the newly launched IDC Worldwide Smart Cities Spending Guide in which the major smart cities use cases were sized and forecasted by nine global regions. IDC Government Insights' Smart Cities Strategies research analyzes the role of ICT in improving services delivery in public safety, transportation, and public works; in fostering innovation and civic engagement; and in building successful business models for the evolution of a Smart City. IDC Government Insights' global team of analysts provides best practice case studies and objective third-party assessments of Smart City solution providers. Smart Cities catalyze the digital transformation of urban ecosystems to produce systemic environmental, financial, and social outcomes. Smart Cities are, by definition, focused on using emerging technologies and innovation to make cities more livable, and offer new services and economic opportunities. The cities in North America have made significant strides in the Smart Cities arena leveraging technology and realigning with the needs and expectations of citizens and residents. To recognize outstanding Smart Cities projects, IDC launched its inaugural Smart City North America Awards (SCNAA). These 2018 awards recognize the progress North American municipalities have made and also provide a forum for sharing the best practices to help accelerate Smart City development in the region. This United States Government Digital Transformation Strategies research advisory service provides insights into government digital transformation. Building from the global Smart Cities program, the Smart Cities Public Safety Strategies report series will focus on key IT trends, challenges, and innovations in public safety/emergency management. Explore construction ahead for government infrastructure and systems integration. 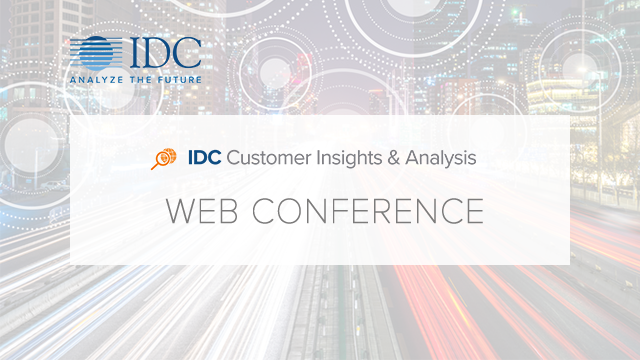 Learn more from Shawn McCarthy, Research Director, IDC Government Insights. •Which key areas governments must master to be successful at Digital Transformation: relationships, operations and information? How far along are European governments in their mastery of the dimensions that underpin these core areas? •How European governments are adopting 3rd platform technologies? •What are the governments’ business priorities that are driving digital investments and related security concerns?